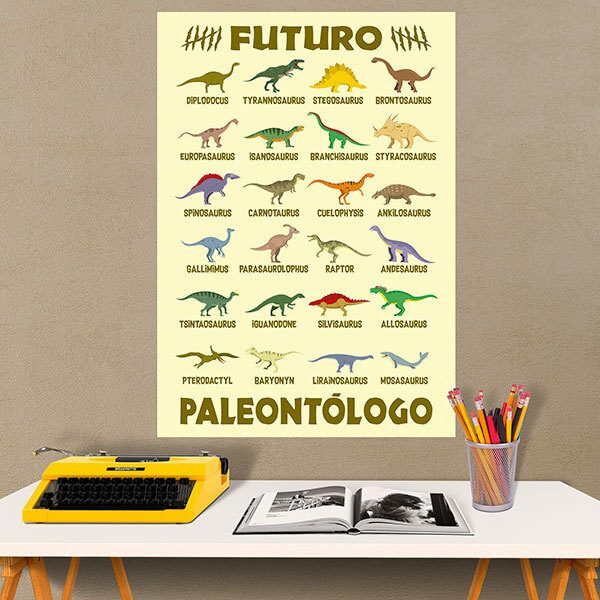 Adhesive vinyl poster Future Palaeontologist. 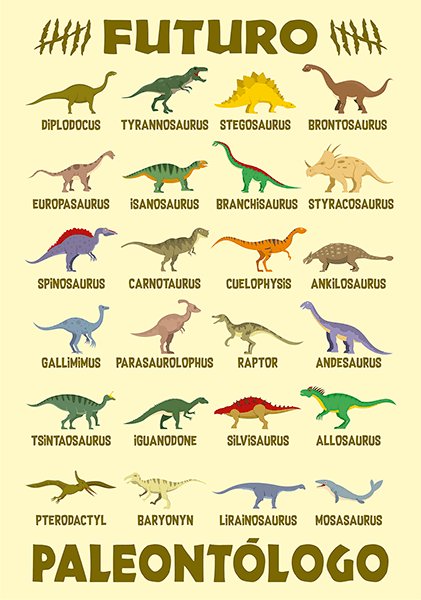 Complete collection of drawings of the most important dinosaurs with their names in English. 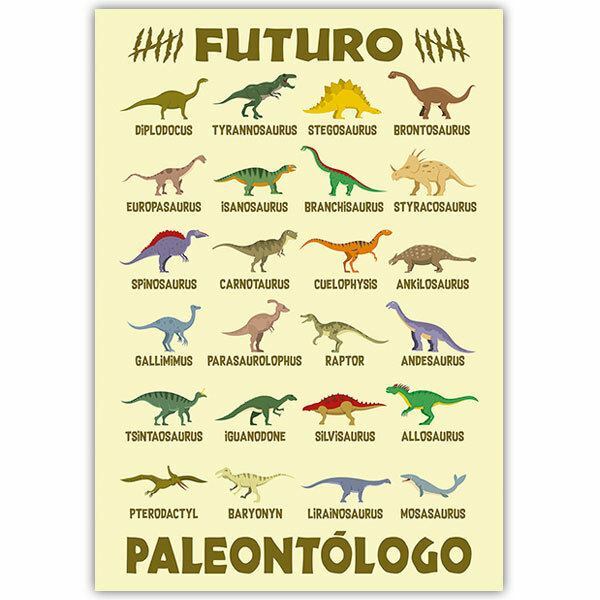 Ideal for the little ones of the house, since it will help them to know and to learn about the incredible beings that inhabited the earth millions of years ago. Size: 2 x 15 cm. 11.02 x 15.75 in. 13.78 x 19.69 in. 16.54 x 23.62 in. 19.29 x 27.56 in. 22.05 x 31.50 in. 24.80 x 35.43 in. 27.56 x 39.37 in. 30.31 x 43.31 in. 33.07 x 47.24 in. 35.83 x 51.18 in. 38.58 x 55.12 in. 41.34 x 59.06 in.